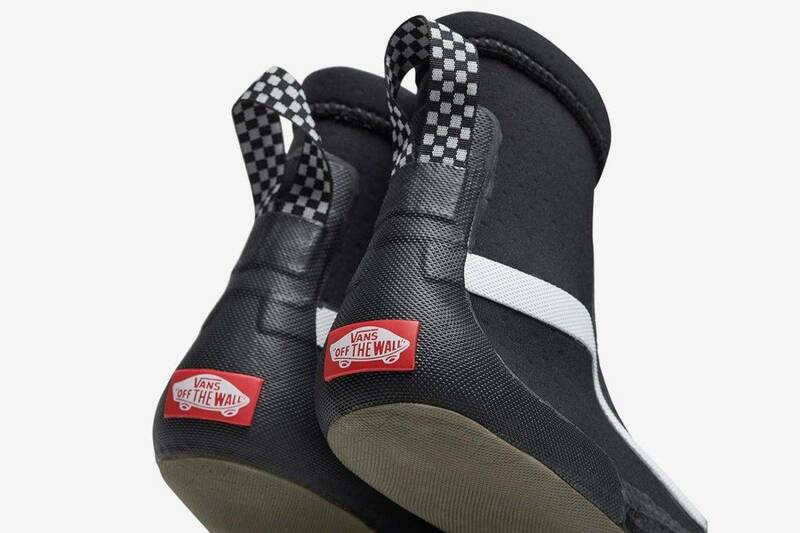 Back in January, during the Vans Triple Crown of Surfing competition, we previewed the look of the Vans Surf Boot. 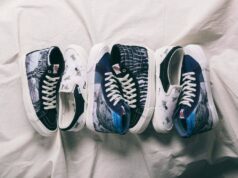 Recently, the Vans brand Surf Boot Mid and Surf Boot Hi versions of the Vans Surf Boot Mid. As we all know, the historic sport of surfing was the predecessor of skateboarding. During the early development of Vans, surfing was always active. 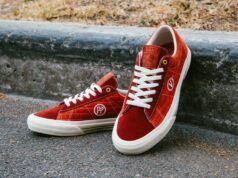 Vans comes out with countless specialty skate shoes each year, but this is the first pair of surf boots from Vans. 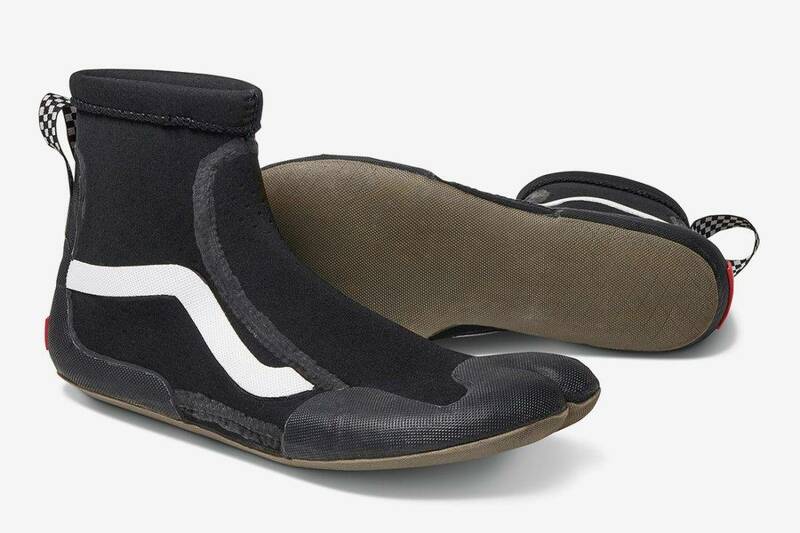 The design goes against the trend and takes inspiration from modern skateboarding to perfect the details of this pair of Surf Boot, helping surfers further improve their sports professionalism. Shoe body appearance kept Vans trademark Sidestripe side stripes and black and white checkerboard pattern, at the same time, combining with the characteristics of the sport of surfing with different bottoms and traditional Vans shoes, toe is also designed, and the key parts of the reinforcement, followed by setting is convenient to wear off the TAB at the same time, don’t forget to join Vans trademark pattern of red and white followed by standard. 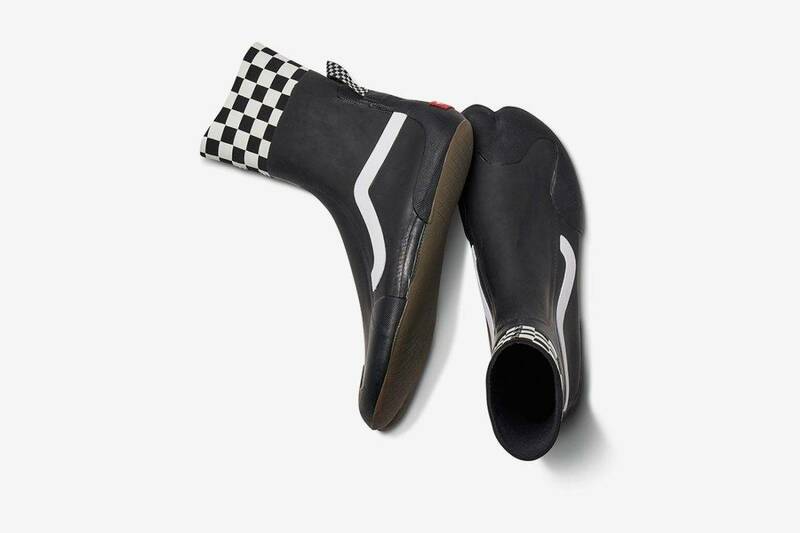 Vans Surf Boot provides professional protection for skateboarders with good grip and a sense of control. 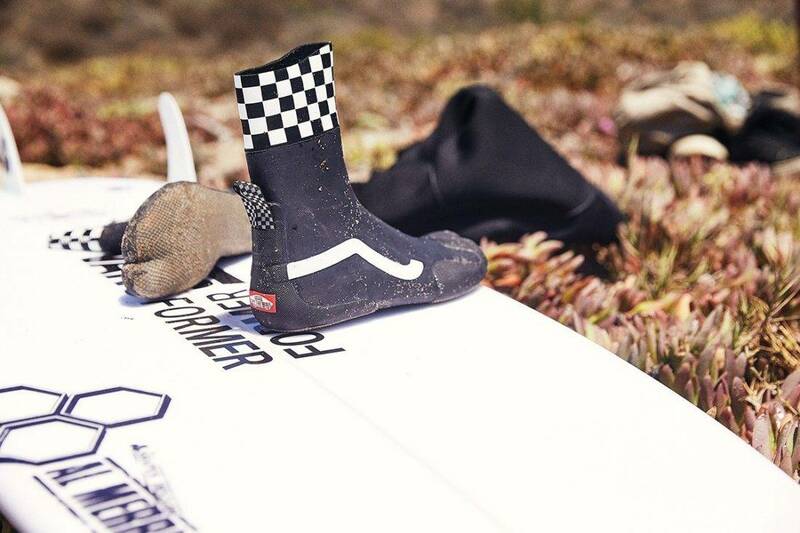 Surf Boot Mid is suitable for warm water conditions. Surf Boot Hi with high Surf Boot allows you to Surf without fear of cold water. 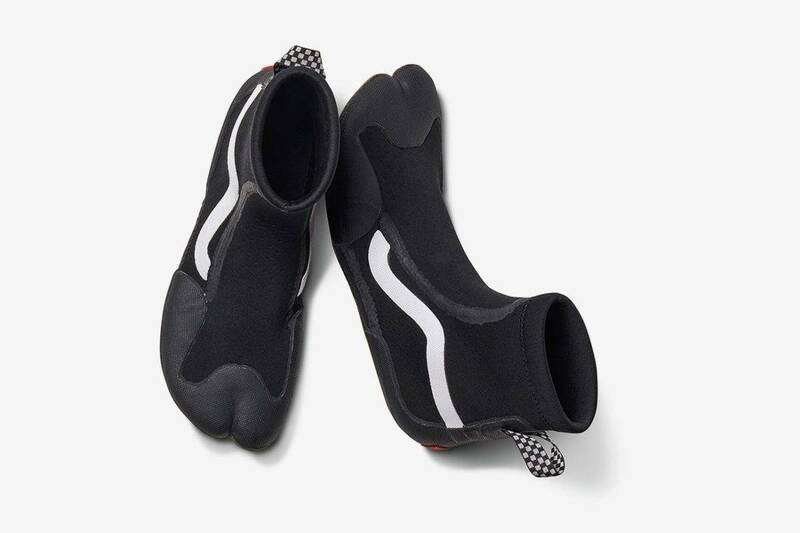 Neoprene immersion upper can effectively block water flow and keep your feet warm.